We invite you to help us celebrate our triumphs in saving animals’ lives at the 17th Annual Puppy Love Benefit, on Saturday, May 11th, 6pm-10pm, at The Historic Coliseum located at 535 4th Ave. N., St. Pete, FL 33701. We have a lot of festivities planned throughout the evening: silent & live auction, 50/50 Raffle, puppy pimping, open dinner buffet and more. 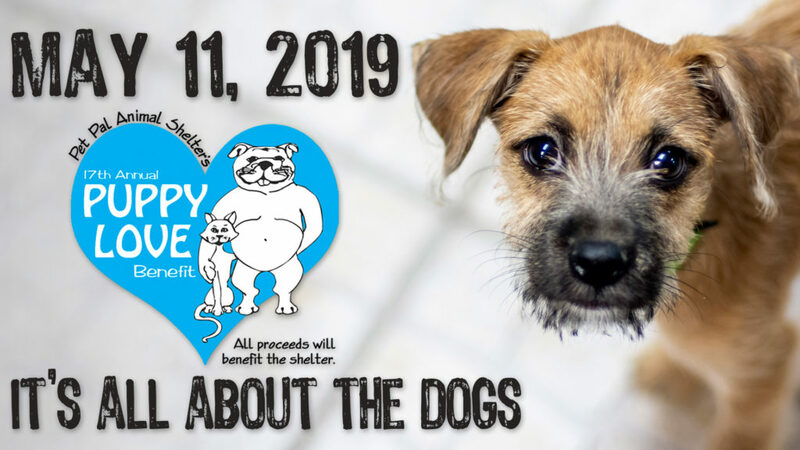 The Annual Puppy Love Benefit is our largest fundraiser of the year. It is vital to the day-to-day operation of our facility, providing much-needed funds for the care and recuperation of our animals. Click here for the donor/sponsorship information packet. Click here to purchase tickets, donate items, or become a sponsor.